ASUS once again revealed another interesting device, this one being an addition to the company’s famed Eee PC line. ASUS made a big splash at the Computex 2011 this week with its tablet-smartphone combo, PadFone. 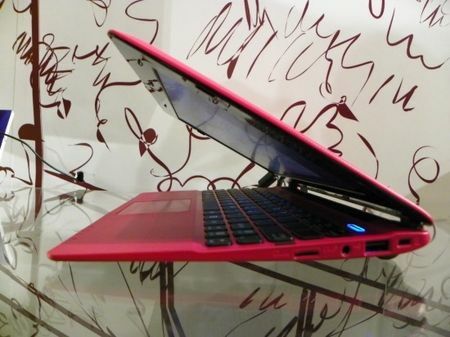 However, the company also revealed a new family member for its famed EEE PC line — the EEE PC X101. The 10.1-inch netbook measures 0.7 inch thick, and offers a Meego-based option that costs $200 only. Just for a quick recollection, Meego is a Linux-based OS developed by Intel and Nokia. With its slim form factor, the price is definitely pretty cheap. Aside from its Linux-based OS, other features that are keeping the EEE PC X101’s price down is its 3-cell battery and 8GB of SSD storage. Albeit there can be an option to upgrade, it will also mean more money and added thickness. The cost of a Windows 7 version is still unknown, while the release date for the X101 is yet to be determined. That said, don’t forget to keep it posted here at All We Like.